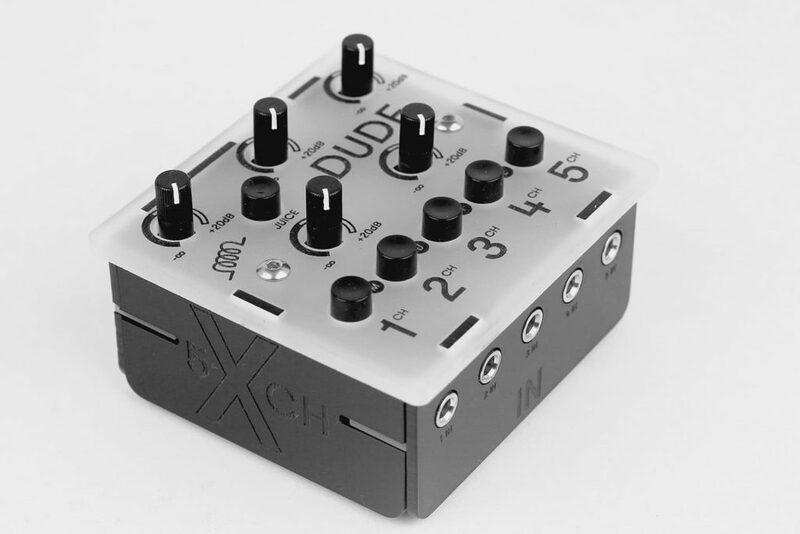 One of the many clever ideas packed into Bastl Instruments’ show-stealing Superbooth stand last month was a tiny, cheap line mixer. Dude isn’t without compromises. The big one is, it’s a mono mixer only – not stereo. So you get five inputs, but they’re all mono inputs. Now, a lot of the stuff you might plug in is mono, to be fair, but then you can’t pan those mono inputs, and you lose stereo information from compact gear that has its own panning or (more likely) something like a stereo delay. If you can live with that, though, everything else here is really ingenious. It runs on batteries, but you still get up to +20 dB gain. That’s a big deal as a lot of tiny mixers are passive and really unsuitable for much more than mixing a couple of smartphone signals together. You can power with external electricity if you want – like if you keep this in your studio. There’s a knob for each channel, plus quick-kill mute buttons. And you can plug in headphones to the minijack, meaning this whole thing is a way of taking a bunch of volcas or Pocket Operators or Bastl desktop gear or MeeBlip or whatever and being able to hear what you’re doing. Seems that’s just in time for jamming in the park. I’m in.